Choose a sub-calendar and enter a keyword in the filter box. Select a sub-calendar in the filter box, then enter a keyword. 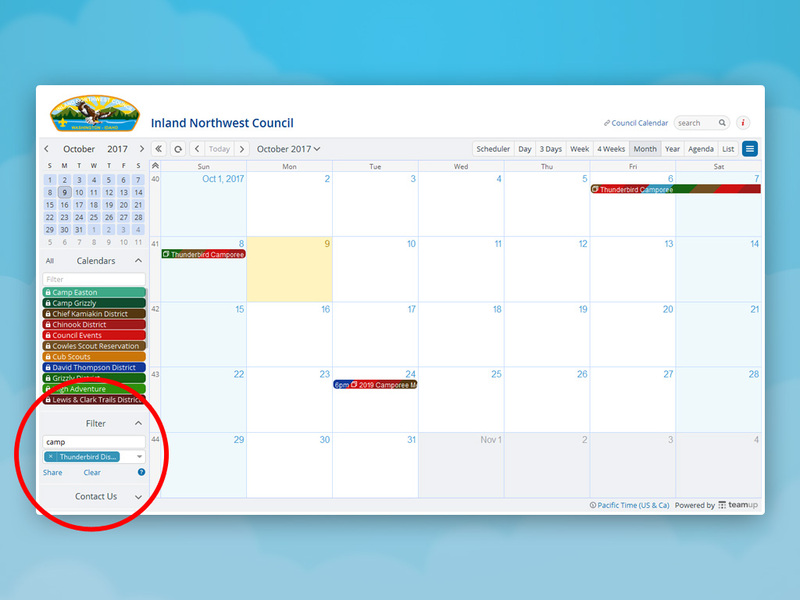 In the example above, the filter will show only events on the calendar Council Events that have the keyword “Camp” in the titles. Inspiration: Think of an event calendar listing events in New York, Chicago, and San Francisco with a sub-calendar for each city. You can filter for all events in New York that are for families – New York AND families, with families as the keyword in the event details. Read more about filtering.